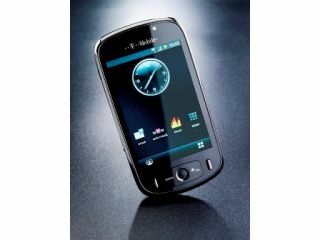 T-Mobile has extended its Android offering with the launch of its first non-HTC Android phone - the T-Mobile Pulse. The new phone is the first in the world to be offered on Pay As You Go, and comes in at a sprightly £180. The new device is manufactured by Huawei but branded by T-Mobile, similar to recently when the network tried to pretend it had a new device by re-branding the HTC Hero as the G2 Touch. It has a 3.5-inch HVGA screen, a trackball, a 3.2MP camera, 2GB of internal memory and a160mm x 62.5mm x 13.5mm frame. However, users will have to pay a fair whack to use the internet on this device, which some might be upset about given Android is fairly data-centric, at £5 per month or £1 per day. T-Mobile will also be offering the Pulse on pay monthly contracts in due course. The new phone has been given an October UK release date, so not long to wait if you're after Android on a budget.